All our Dermal filler treatments @ Seka's Beauty Case @101darley Beauty Collective on Sydney's Northern Beaches are performed by Angela our registered Cosmetic Nurse. Angela (RN), is a qualified Cosmetic Nurse, she works alongside a very reputable Plastic/Cosmetic Surgeon in Sydney. She has a special interest in aesthetic medicine and has been carrying out cosmetic injectable's since being fully trained. Angela has worked for several years, advancing her training and working alongside plastic surgeons and dermatologists, performing aesthetic medicine to the highest level. Angela (RN) will help you to understand how a Dermal Filler treatments will work for you. We are all passionate about your appearance, comfort & safety. As we age our skin naturally ages, the skin gradually loses it's stretch elements (collagen and elastin) and it's volume (hydraulic acid and fat). Dermal fillers are used to help reverse the changes associated with ageing. Hydraulic acid in the skin is responsible for binding water and keeping skin moist. The water volume provides a cushion for the skin. Over time, hydraulic acid loses its moisturising capabilities resulting in skin that begins to sag and crease. 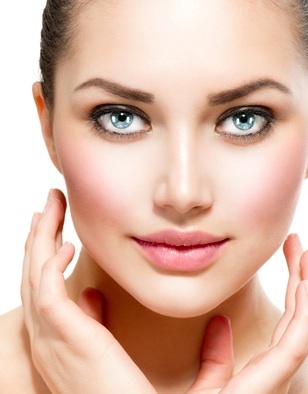 Dermal fillers also act to stimulate the body to produce collagen. Three to six weeks post-treatment the area injected slowly builds up collagen, gains more volume and unwanted lines and wrinkles gradually diminish as the skin thickens. Juvederm Voluma - 1ml $600 , 2ml $1100. If you have noticed the signs of aging on your face and want to recapture your youthful appearance, Juvederm Voluma may be the solution. This facial filler is designed to add volume and definition to specific areas of the face, including the cheeks. Juvederm Voluma seems to turn back the hands of time by restoring fullness to sagging, deflated and time-worn cheek skin. A combination of hyaluronic acid, elastin and collagen allows the filler to immediately improve the elasticity and structure of the treated areas. The result is a smoother, more natural facial contour. Tired, thin and sunken skin can easily be rejuvenated with this miracle treatment. You should notice an instant improvement after receiving Juvederm Voluma injections, and the results can last as long as 18 months. There is no lengthy recovery time, so you will be able to immediately return to your normal schedule. The perfect candidate for this type of facial filler is anyone who has experienced volume loss in the cheeks due to weight loss, aging or medical issues. Are you searching for the right treatment option to give you plump, full lips? Thin lips can detract from your natural beauty, but the good news is that there is an effective, method available to add volume to your lips. Juvederm can be injected into the lips to increase volume for a fuller look. You get to look like a better version of yourself with an increase in lip volume. Small changes that are targeted to problem areas result in a marked improvement in appearance. Temporary swelling is common immediately after the procedure, but these minor side effects subside in just a few hours. Juvederm lip fillers can last up to a year before treatments need to be repeated. Other treatments that are available at the clinic that can smooth fine lines and wrinkles while increasing the elasticity of you facial skin to make you look younger. Regain your confidence with Juvederm. A Chin Enhancement is cosmetic procedure that utilises injectables to improve the appearance of one’s chin. This dermal filler treatment is used to shape the chin and define the lower part of the face. Skin Boosters are micro-injections of dermal fillers in the skin. ... Instead, they are very fine dermal fillers that are injected into the skin to hydrate and improve skinquality. This type of dermal filler can be injected over large treatment areas of the face, neck, and hands to increase the skin's hydration quality. Redefine a youthful jawline with expertly placed dermal fillers. Dermal fillers are commonly used in conjunction with anti-wrinkle injections that help to relax the muscles of facial expression. Angela is available every second Thursday & Friday from 10am-6pm. All new clients require a 10% unrefundable deposit on booking an appointment due to high volume of no shows.